Top 15 Best Subbed Anime: Keeping it Real! One of the never-ending discussions among anime fans is probably whether they like subbed anime or dubbed anime. Let's focus on some of the main reasons why having subtitles can be more enjoyable for certain series, while also taking a look at some of the best subbed anime available! Perfect for Furuta's voice. Bless this man. tsukune has an awful voice, you made him so punchable and bad. I'm watching Mermaid Melody, and decided to see what else Kaito's VA is in. I'm really surprised to see he's in DBS as Cabba, but I can see it now. Otanjoubi omedetto gozaimasu Kishio san!!! 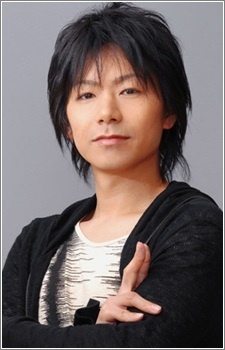 お誕生日おめでとうございます、岸尾だいすけさん！「44歳」杉並君。Happy birthday Daisuke san! (44) Suginami kun.